A first-person shooter is in the cards! Build the battlefield – Use any miniature – Use true line of sight! Build a custom battlefield out of your surroundings and whatever you have on hand. You can play SHOOT anywhere! Use any miniature. 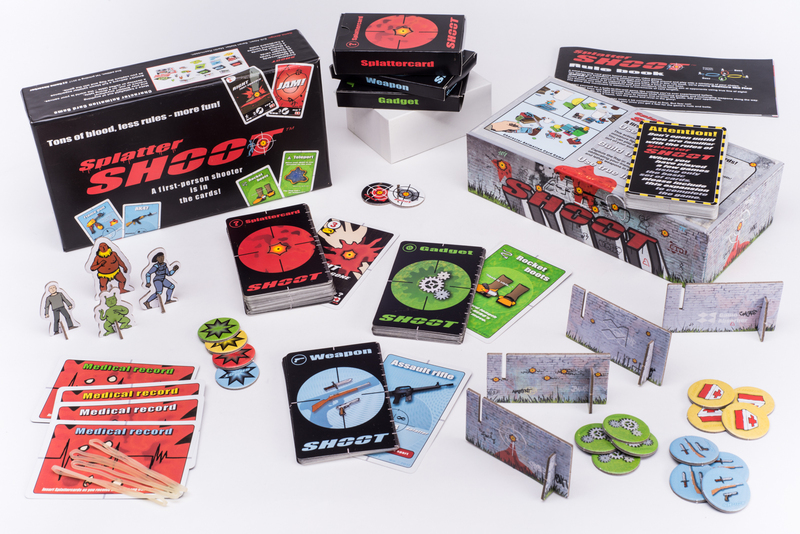 This action-packed card-game brings your favorite miniature figurines to life – just in time for a battle to the death! Use true line of sight! Dive into the battlefield, using true line of sight, just like in a 1st person shooter computer game! 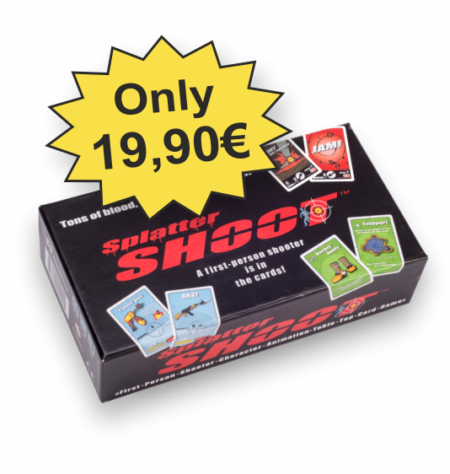 It’s a tabletop shooter card/miniature game. 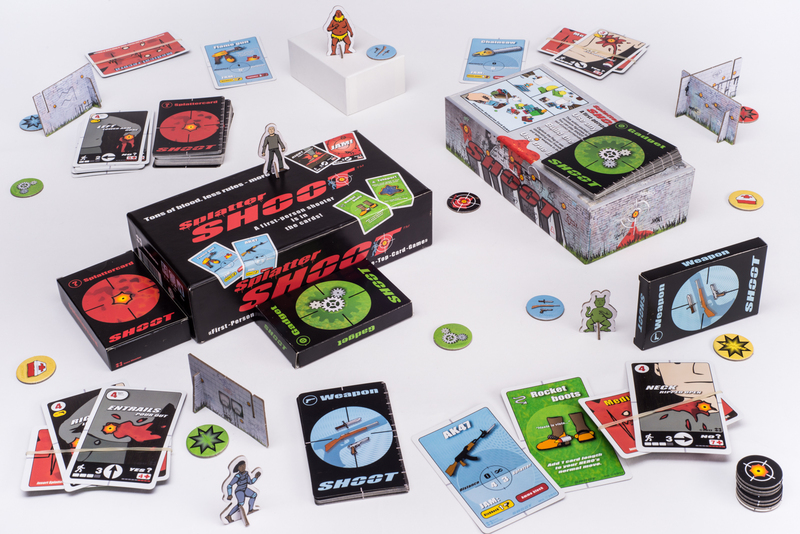 Capture the flag or see if you can be the last man standing by obliterating your friends’ hopes with a boatload of clever gadgets and lethal weapons in this epic tabletop shoot ’em up game! 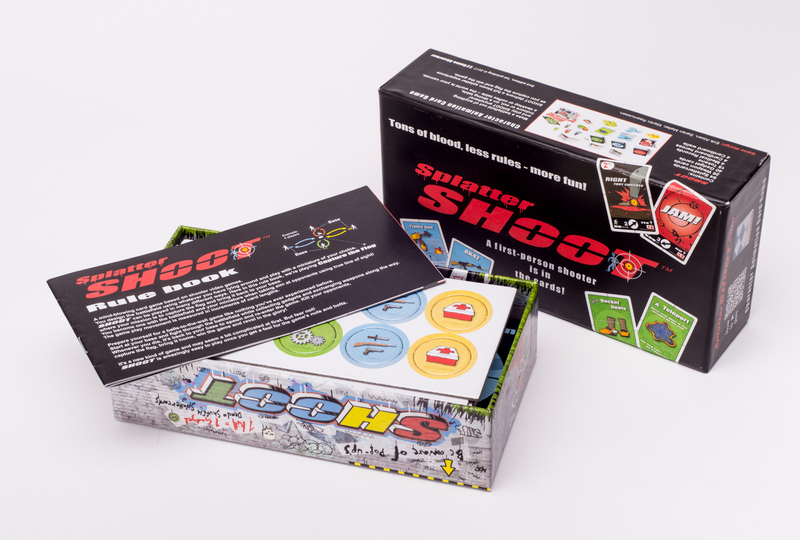 A mind-blowing card game based on shooter video games. You design the battlefield using whatever you have lying around and play with a miniature of your choice. where your mission is to capture the flag and bring it back to your base. You become one with the battlefield and your miniature when taking aim at opponents using true line of sight! The game play movement is measured in increments of card lengths. Prepare yourself for a balls-to-the-wall game like nothing you’ve ever experienced before. Start at your base and fight through the battlefield while collecting gadgets and exchanging weapons along the way. capture the flag, bring it home, win the game and revel in the glory! It’s a new kind of game and may seem a bit complicated at first. But fear not! 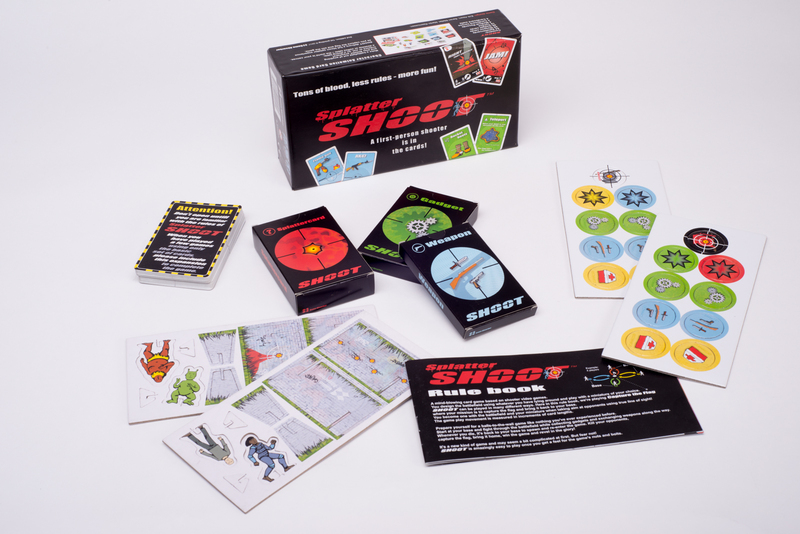 SHOOT is amazingly easy to play once you get a feel for the game’s nuts and bolts. 4 walls and 4 cardboard miniatures with holders. Look at ratings for 1,edition.